I am offering three prizes for this giveaway. 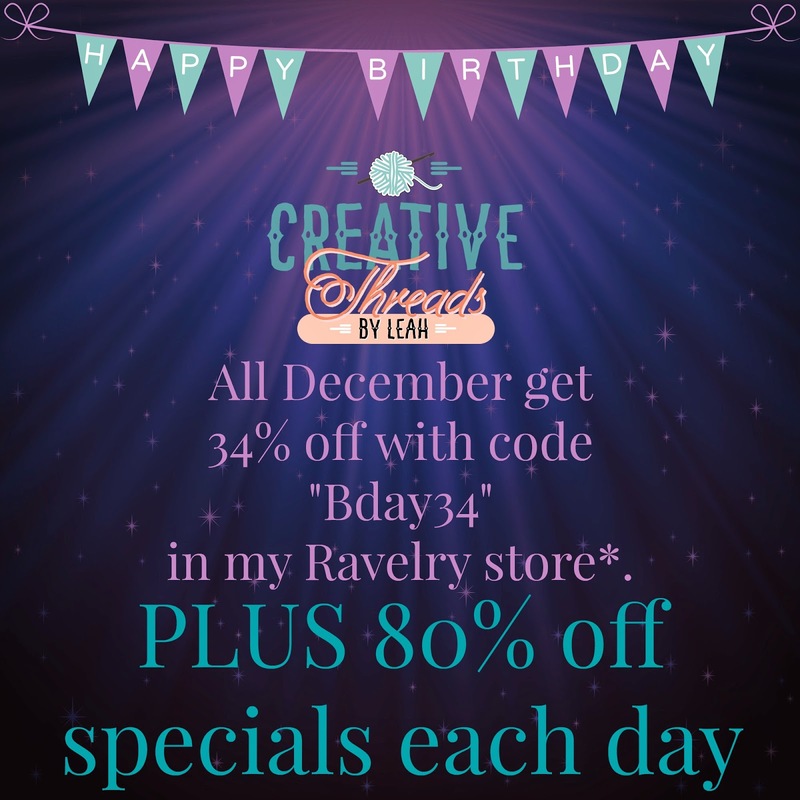 The first is a year long Ravelry pass that will allow the winner to get every pattern that I release in 2015 (I have done almost 100 this year alone) for free! The second is a code for a 10 pattern pack. The third is a code for a 5 pattern pack. The way all of these will work is the winners will receive a special coupon code from me to use on Ravelry. Enjoy the specials and I hope y’all have a great day!